We need many types of volunteers! A few ideas are listed below but we welcome other ideas. 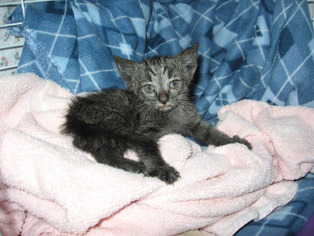 Please send an e-mail to feralcatcaregivers@yahoo.com to let us know what kind of volunteering you would like to do. Help with fundraising activities. Participate in our planned fundraisers, or if you belong to another club or group, perhaps hold a special fundraiser for us or coordinate a cat food drive! Help at one of our monitoring and management sites by volunteering to feed and water and carefully observing cats one or more days a week, (or be a back-up feeder). Help with trapping. You’ll first train and trap with an experienced trapper, and then we’ll assign you a location to trap on your own time. Foster, Foster, Foster! Usually a commitment of 4-8 weeks, and we may have both kittens and adult cats. 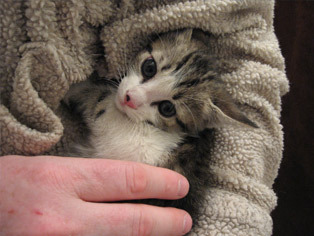 Many of our kittens are unsocialized, so we need people who can spend time helping them learn to trust. All vet care is covered, and we handle the advertising and the screening of adopters.